Did you know there is a DeathLab at Columbia University? Operating under the Graduate School of Architecture, Planning, and Preservation, DeathLab pursues sustainable designs for futuristic cemeteries, and they just unveiled plans for a beautiful memorial forest lit by a constellation of biomass-powered “stars.” The project offers a beautiful way to memorialize loved ones, and it’s also much more environmentally friendly than today’s cemeteries. 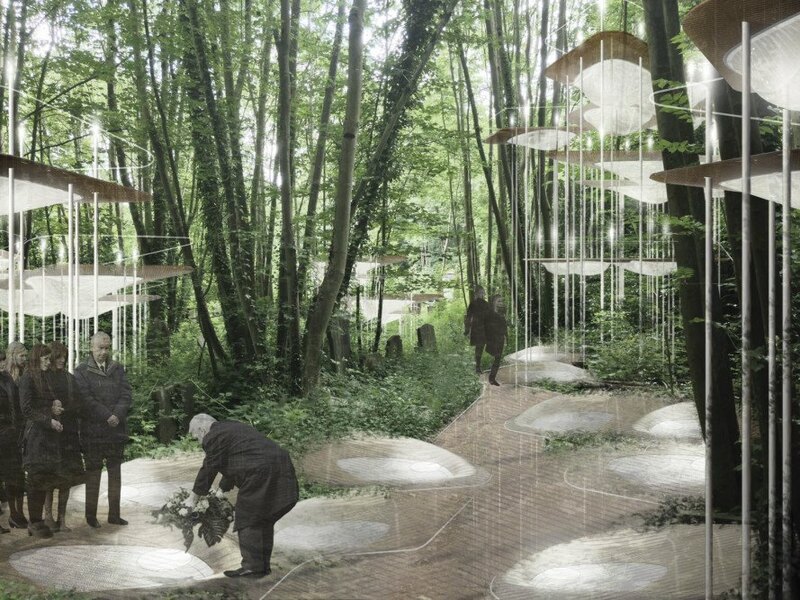 Put on by the University of Bath’s Centre for Death and Society, the competition encouraged architects to design a more environmentally friendly means of burial for Arnos Vale, a historic site in Bristol that continues to function as a working cemetery. 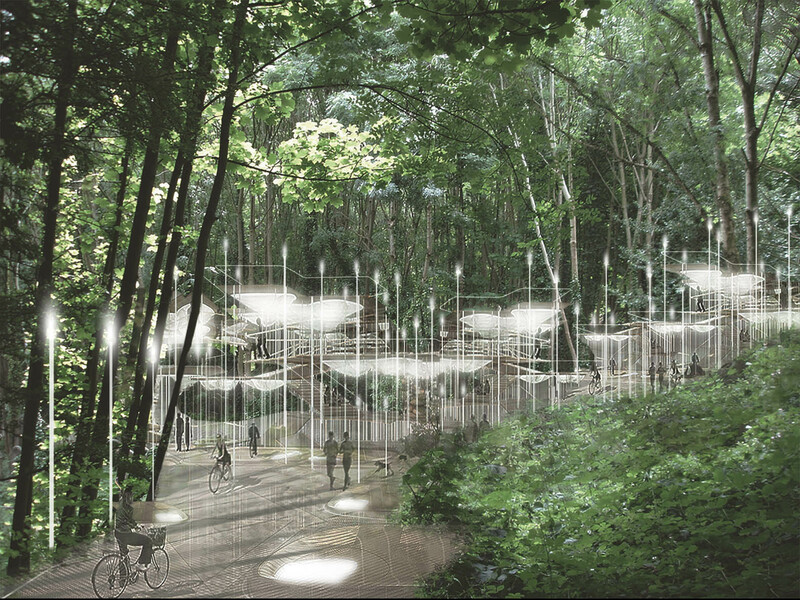 DeathLab’s winning design, ‘Sylvan Constellation,’ blends memorial vessels with a wooded landscape, creating a multilevel space filled with light that’s powered by biomass. Traditional burial practices such as embalming or even cremating can be harmful to the environment, and DeathLab is pioneering new visions of honoring the dead, blending design with science. Sylvan Constellation would accelerate decomposition in the memorial vessels, creating cyclical lighting to evoke nighttime constellations in the forest. “Harnessing science while respecting spirituality, our proposal transforms biomass into an elegant and truly perpetual constellation of light, illuminating new woodland pathways and sanctuary space within the historic cemetery,” the DeathLab team said in their press release. The space would welcome people of all faith traditions, and includes peaceful areas for friends and family members to reflect on a loved one’s life. Through this design and others, DeathLab aims to shift cultural thought around death through elegant, sustainable architecture. More of DeathLab’s futuristic concepts can be viewed here. Columbia University's DeathLab won a contest to design a futuristic, environmentally friendly burial site. DeathLab's non-denominational futuristic cemetery honors those who lived in a thoughtful, peaceful space.